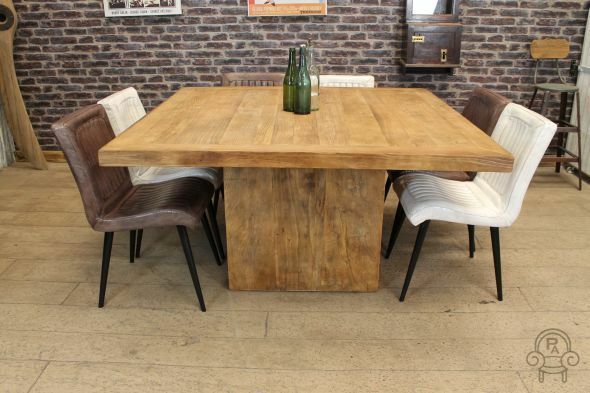 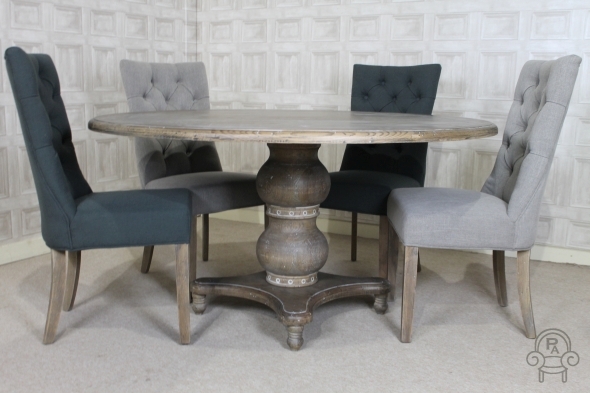 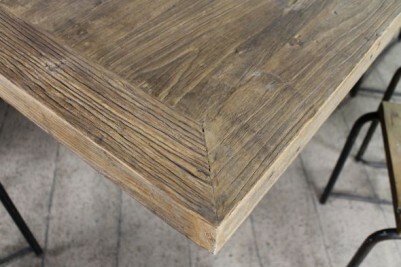 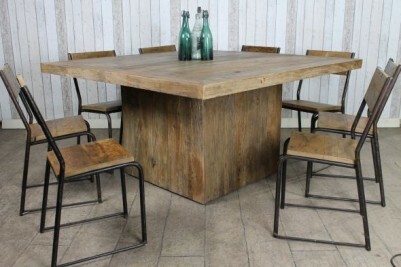 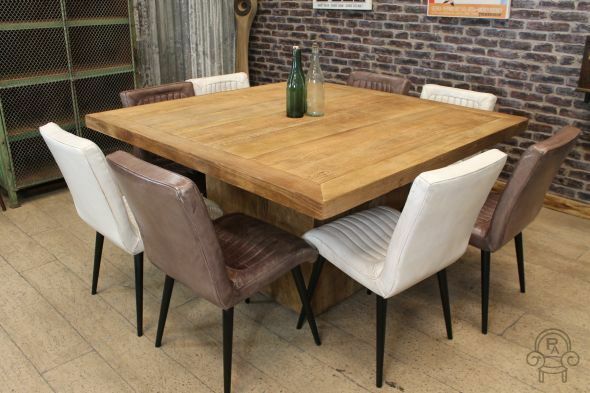 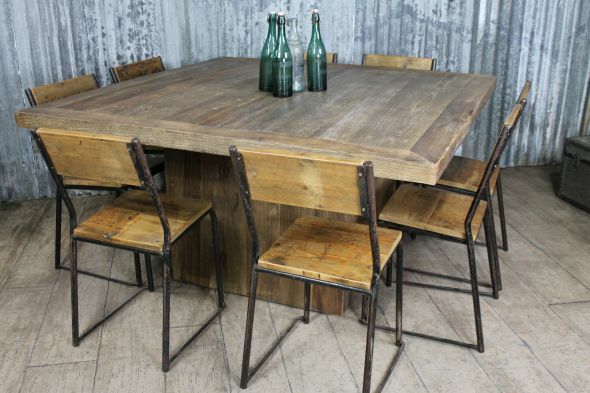 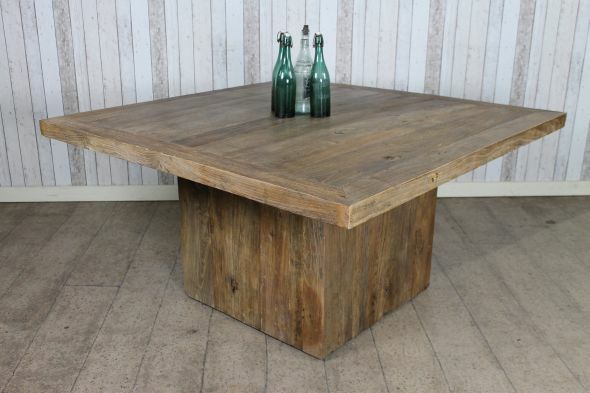 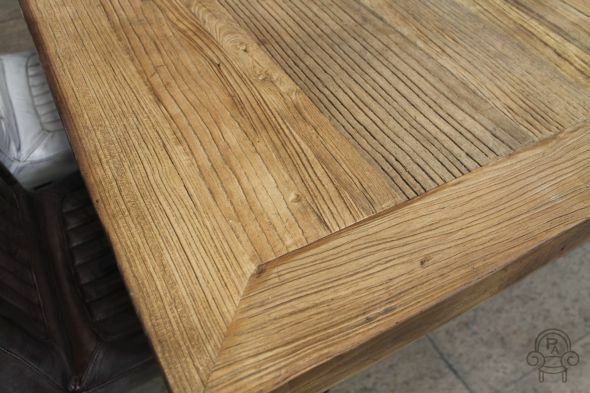 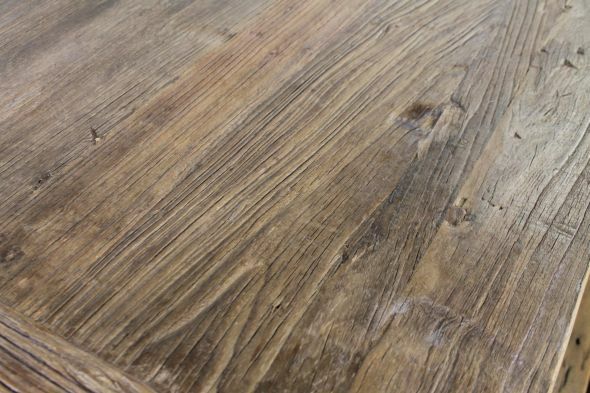 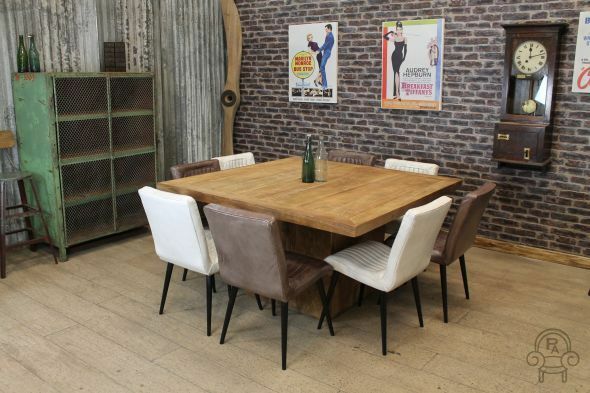 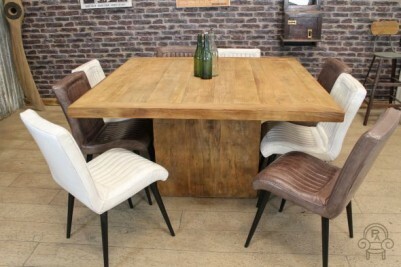 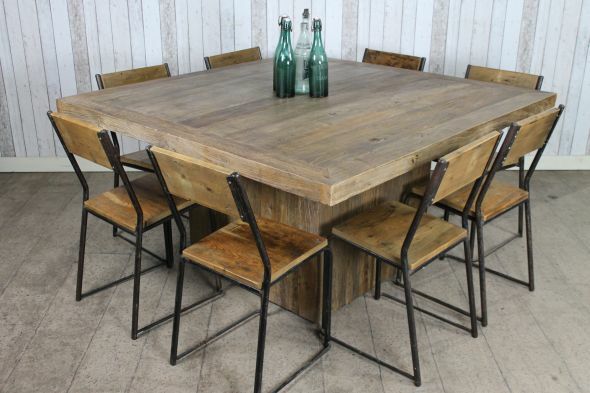 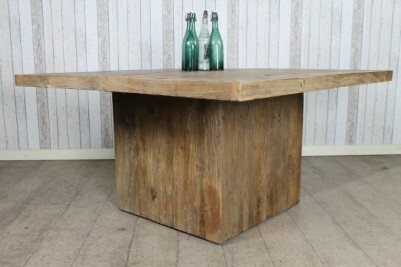 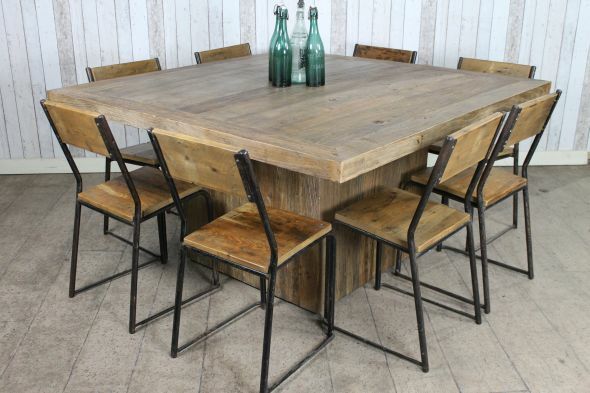 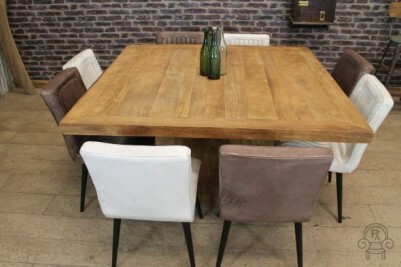 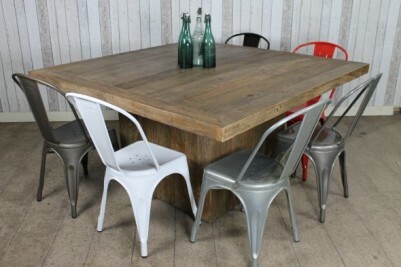 A fantastic addition to our large selection of restaurant and kitchen dining tables, this unusual large square table features a 100% reclaimed top with lots of charm and character. It can easily seat up to eight people and would be ideal for a large square kitchen or dining room. 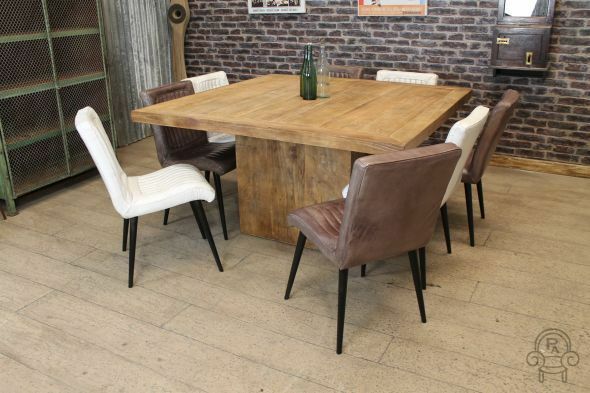 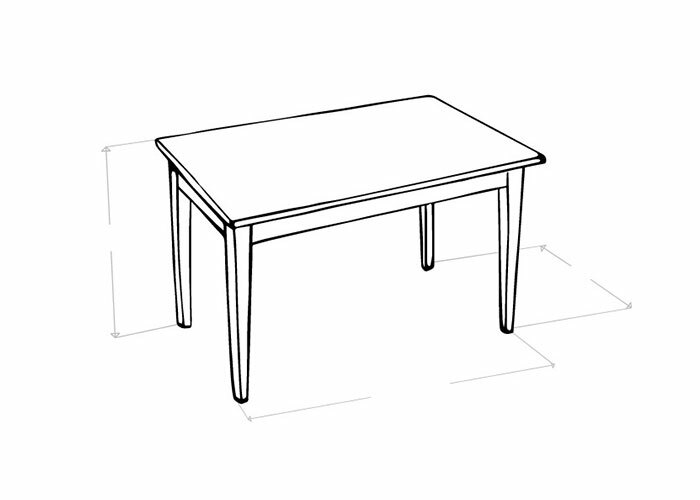 It could also be used as a large sharing table in a restaurant or commercial property. 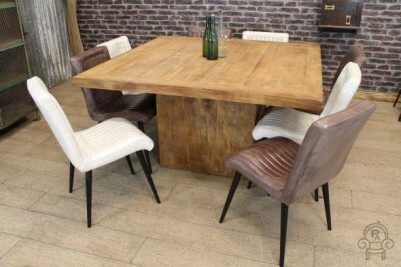 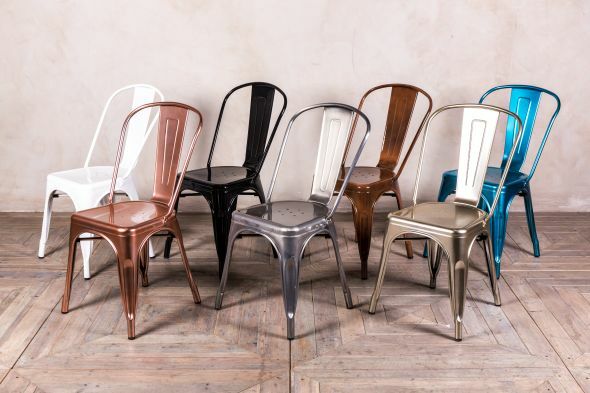 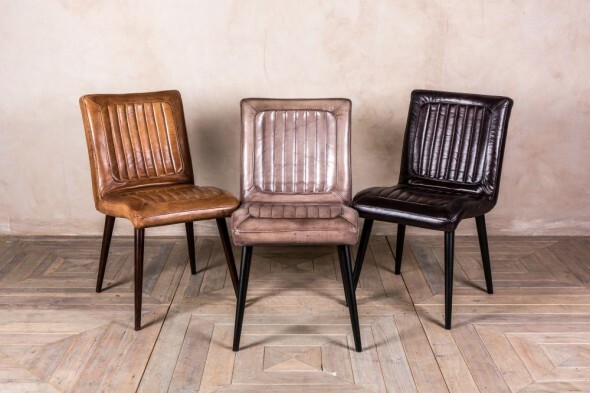 Please note that the chairs pictured are not included in the listing, but can be purchased separately.